LITTLE-APPLEFALLS: Some like it Hot! and I had to be dragged to my craft desk, kickin' 'n' screamin' 'cos I don't do HOT.....hahaaaa.....but I settled down, like the good Team Member I am, and got on with it....sheeesh! 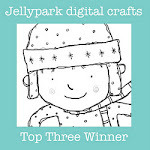 So, last week we had a Winter theme....and what a gorgeous set of entries we received!......but this week we want to see just the opposite.....well, our esteemed Boss Lady, Pauline, does.....she lives Down Under and is sweltering enjoying the heat.....not!.....I think it just might be a tad too warm for some peeps in Australia, at the moment.....but, we'd like to see your summer themed creations.....bring them on! I started with a red card base and added layers of Raspberry Road papers which had been backed with more red card......I like the freshness of these papers...a lot! I rolled a length of this pretty lace into a flower shape, adding a small circle of card to the back for stability.....and this ickle ladybird flew onto it.....ha! The sweet flowers are from my stash and I popped some moss......yep, real moss, (from Anna Marie's Designs).....it stays where it's put, too, with a few dabs of wet glue......very summery! A bit of titivating on the inside and it's done! Super cute - I love that sweet little ladybird (bug!). And not at all over the top on the heat. I like it! Very lovely card. Of course you know I like those papers (having that pad myself - grin), but you've done such a beautiful job of colouring this very pretty image. Yummy, yummy card!! This is gorgeous Anne-Marie. I love the image, beautiful warm colours and fabulous detailing. Very pretty! I am a softy for butterflies. Thanks for joining us at PCJ challenges. A beautiful birthday card. I love the warm colours and the lovely image. Thanks for joining us this week at Charisma Cardz in our 4th birthday celebration. Lovely realization. The inside is also beautiful as the outside. Good work ! omg! i LOVE how you did this image! total gorgeousness! Such a gorgeous card, Anne-Marie! Love the texture and those gorgeous flwoers! Beautiful card - I love the image and your colour palette is just gorgeous. Oh, I really like this card and the nice bright colours you have used. Definitely makes you wish for summer! Thanks for joining us for our Birthday Celebration at Charisma. Good luck in the challenge! This is beautiful, Anne-Marie!! I love that image and the extra butterfly! Hi Anne-Marie, what a beautiful image and a fabulous card! Lovely cheery colours and the little ladybird is a fab touch. 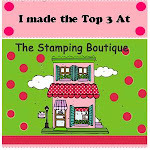 Just been having a wander back through your blog and catching up on all your wonderful cards. Sorry to hear you were ill around Christmas, hope it didn't spoil it too much for you and hope you are 100% recovered now. Love your card with all of those hot colors!!! Thanks for playing with us at The Paper Shelter. What a lovely image and love how you have created your 'linen' paper. Great colouring, layout and design. This is so very beautiful Anne-Marie! I love how you printed out your image on the canvas paper and your colouring is gorgeous! Such a wonderful burst of colour! Just BEAUTIFUL Anne-Marie and you gotta love that lady bug! Such an adorable creation inside & out! 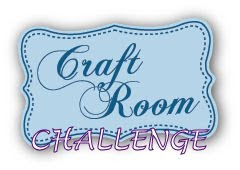 Thanks so much for joining our "Anything Goes" challenge at Shelly's Images! Please come back and join us again real soon!! P.S. 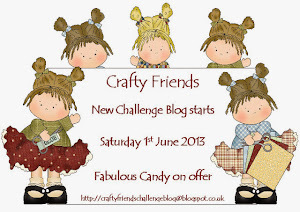 I have blog candy on my blog if you’re interested! Such a pretty card! I love the butterflies and the paper looks just like fabric! Can't believe you let that ladybug hop on your pretty flower like that! !hee!hee!